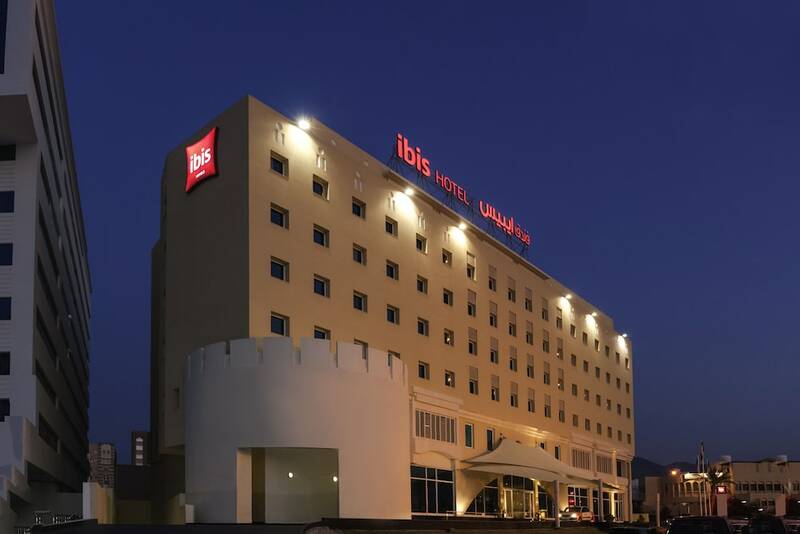 With a stay at ibis Muscat, you'll be centrally located in Muscat, within a 10-minute drive of Sultan Qaboos Grand Mosque and Royal Opera House Muscat. This hotel is 6.8 mi (11 km) from Qurum Beach and 10.5 mi (16.9 km) from Muttrah Corniche. Make yourself at home in one of the 171 air-conditioned rooms featuring minibars and flat-screen televisions. Complimentary wired and wireless Internet access keeps you connected, and satellite programming provides entertainment. Private bathrooms with showers feature complimentary toiletries and hair dryers. Conveniences include phones, as well as safes and desks. Enjoy recreation amenities such as a 24-hour fitness center or take in the view from a terrace. This Art Deco hotel also features complimentary wireless Internet access, a television in a common area, and tour/ticket assistance. For lunch or dinner, stop by Oopen Pasta and Grill, a restaurant that specializes in international cuisine. Dining is also available at the coffee shop/café, and 24-hour room service is provided. Buffet breakfasts are available daily from 6:30 AM to 10 AM for a fee.